The Creative Banners Presentation is a modern Free Template designed with multiple full slide banners with flat modern fonts placed in a dark theme. The user can choose to apply the slides in any existing presentation or create a new one with the provided layout. The Slides theme is based on a dark background, generated with black fill color or with dark wallpaper images. The banners are created with several combinations of the Google Web fonts. The designers applied a flat color palette to highlight the fonts over the backgrounds and create an engaging experience. 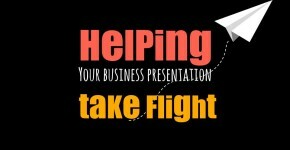 The presentation template provides slides banners with different structures, but the overall layout remains along the slides. Each slide provides a central message with a complementing small text. The central message is highlighted with fonts differentiations and the colors between background images, fonts and containers are opposite, in order to give the adequate highlight to the main paragraphs. Every user can edit this Free Google Slides Templates adding additional vector shapes or replacing the background images. The edition is simple and requires no Google Slides expertise. how do you put it on the slides? You can copy all the element and include them in your own presentation. Let me know if you need any further assitance. Just open the template with the Orange button and make a copy using File/Make a Copy at the google slides interface. Please let us know if you were able to access it. Thank you for your feedback. I’ve tested the file and it works correctly. The only thing you need to do to open it in PowerPoint exaclty as seen in google slides is that you need to install the fonts. Look at the Credits slides and downloads the google fonts used in the template. Can you provide the error your are receiving (a print screen would be awesome). Also provide the version of PowerPoint your are using. Thank you for sharing such a wonderful slides. However, I can not edit this slides. As you mentioned, I opened these slides in Google presentation and tried to make a copy for editing. The copy of these slides did not show up. Oh! No~~!